Further to Google And Marvell announcing their new partnership last week to use Arm processors to create Google TV systems. At CES today Marvell has been demonstrating its new Google TV device, powered by the new Armada 1500 ARM processor. 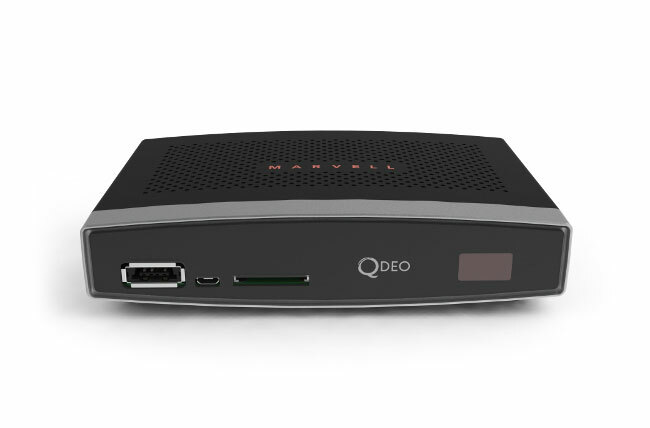 The new Marvell QDEO Google TV is controlled by a standard Logitech Revue keyboard and trackpad, but exact specifications are still to be released. More information about the device is expected to be released over the next couple of days at CES in Las Vegas. As soon as more information on pricing or worldwide availability is released we will keep you updated as always.